Special Collections and University Archives (SCUA) operates as a distinct unit within the Nelson Poynter Memorial Library at USF St. Petersburg. Materials include special collections (Floridiana, rare books, personal papers, and manuscript collections) as well as the institutional archives of the campus. The library has also created the USFSP Digital Archive as a repository of significant print and “born digital” materials. 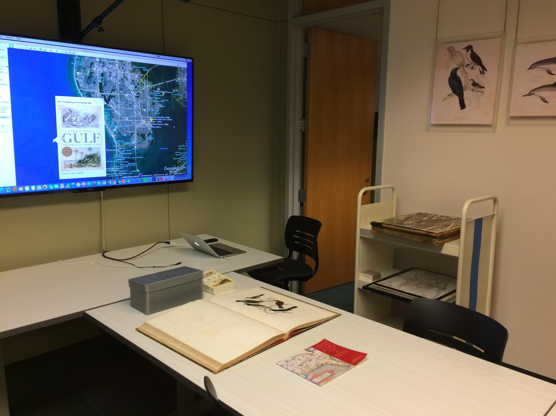 The Reading Room is a public space available to researchers using the materials within Special Collections. For more information on the reading room, please visit the Public Spaces guideline. HIGHLY RECOMMENDED: You can schedule a research consultation, or submit your request for materials online and we will have them ready for view when you come visit us.